The Russian Ministry of Justice has proposed a bill that would make illegal any unsanctioned prayer services and rites held outside religious sites or cemeteries. Such events would require permission from authorities. The Justice Ministry has proposed tough amendments to the Law on Freedom of Conscience and Religious Associations. Currently, worshipers are allowed to hold religious ceremonies in public places if they inform the local administration in advance about the planned gathering. Under the proposed bill, unsanctioned ceremonies – such as public prayers or religious meetings – are allowed on territories and in buildings belonging to religious organizations, on pilgrimage sites, at cemeteries and crematoriums and in private accommodations. In all other cases, worshippers must have their gatherings approved by a local administration – analogous to the contentious ‘anti-rally’ law adopted in 2012. The bill significantly increased the punishment for organizing and taking part in illegal protests, and introduced more regulation over rallies. 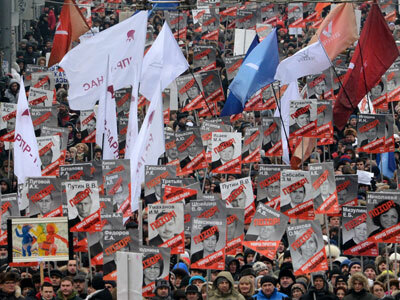 The hotly debated legislation was intended to regulate Russia’s mass protest movement, which has seen a dramatic rise in activity since the country’s December 2011 parliamentary elections. The main argument in favor of the law was that one person’s freedom ends where another person’s freedom begins – when many citizens are exercising their right to freedom of expression, their protests should not disturb others’ lives. Some religious celebrations, which are often held right in the streets, have also been a source of irritation for many of Russia’s city-dwellers. Thousands of Muslims from Central Asia have immigrated to Russia, especially to large cities like Moscow and St. Petersburg, bringing their traditions with them. The most crowded Muslim religious festivities take place twice a year, when believers celebrate end of Ramadan (Eid al Fitr) and the Feast of Sacrifice (Eid al-Adha). Russian Muslims voiced approval of the ministry’s proposed initiative, saying that the bill does not violate their rights. 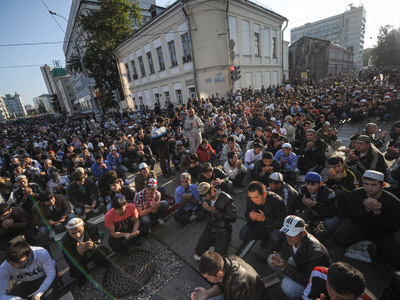 Rather, it provides a list of specific places where religious gatherings are allowed – if the legislation is approved, believers would be able to hold their divine services and prayers in places other than mosques, said Rushan Abbyasov, vice chair of the Russian Muftis Council. 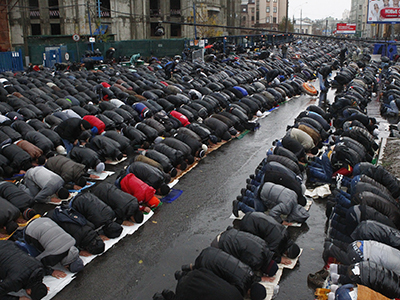 Currently, there are not enough mosques in Russia for the country’s Muslims, and acquiring land to build them is a protracted process, Abbyasov explained. 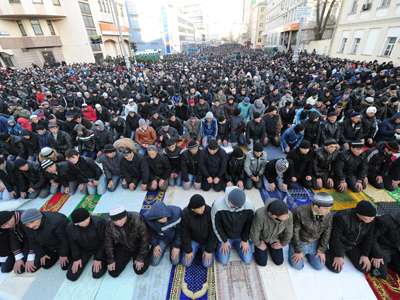 Some Muslim organizations are forced to hold Friday prayers outside of their houses of worships. On a number of occasions, local authorities banned these events because they were taking place outside of a mosque. With the new law, believers will be able to use rented buildings and territories without needing to inform authorities. 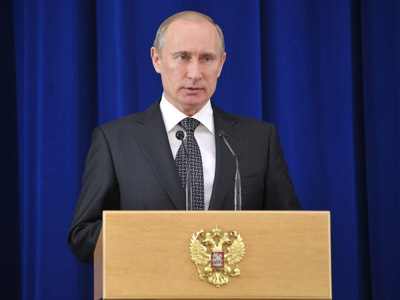 The Russian Orthodox Church has also generally supported the initiative, but said that some of the proposal’s nuances should be clarified. “We believe that it is necessary to put the holding of public liturgies in order. 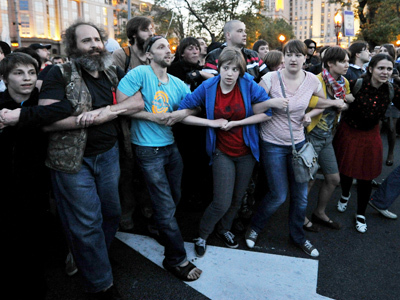 In fact, we raised this issue earlier, when the law on rallies was considered,” Xenia Chernega, a lawyer for the Moscow Patriarchate, told RIA Novosti. It is in the interests of a religious group to receive permission to stage a public religious ceremony, as authorities will know to send ambulances and police to make sure the service proceeds smoothly, she said. However, the phrase “public divine service” used in the bill needs to be clarified, as there are no Orthodox Church services that are closed to the public, Chernega explained.